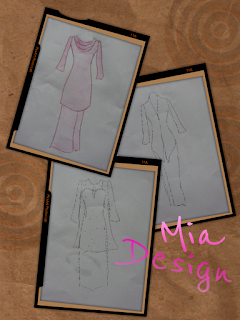 wow ... feel myself like a fashion designer today!! 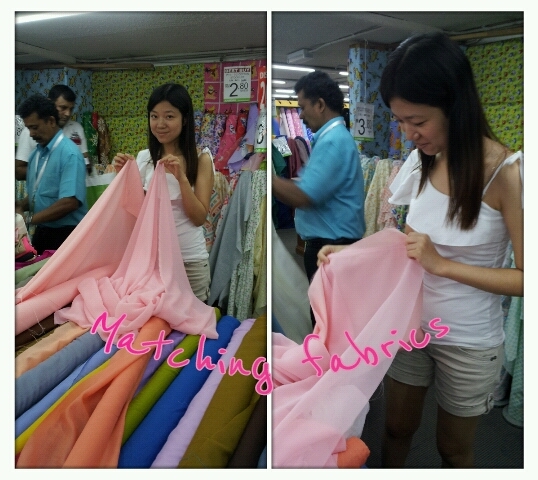 Early in the morning, i went to KL city with Mia, she brought me to this street where you can find various kind of qualitiy fabric, cotton, textiles, silk, satin, and many more for you to tailor made your own dresses! 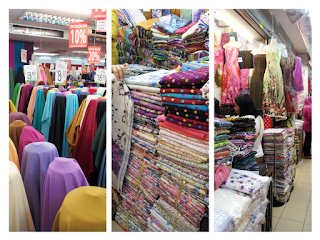 I enjoyed the day with Mia passing through shop by shop, choosing my preferred fabric - Chiffon to tailor made my first Baju Melayu which designed by Mia! She gave me few designs to choose , if pocket does allow, i really hope to try all these designs!Love it so much! Okay , we found the type of chiffon fabric that i want... light pink ! 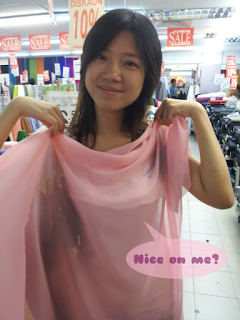 Then we proceed to look for lining to match with my light pink chiffon! 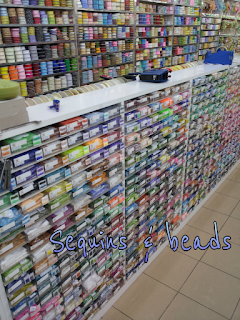 And not to forget sequins & beads! 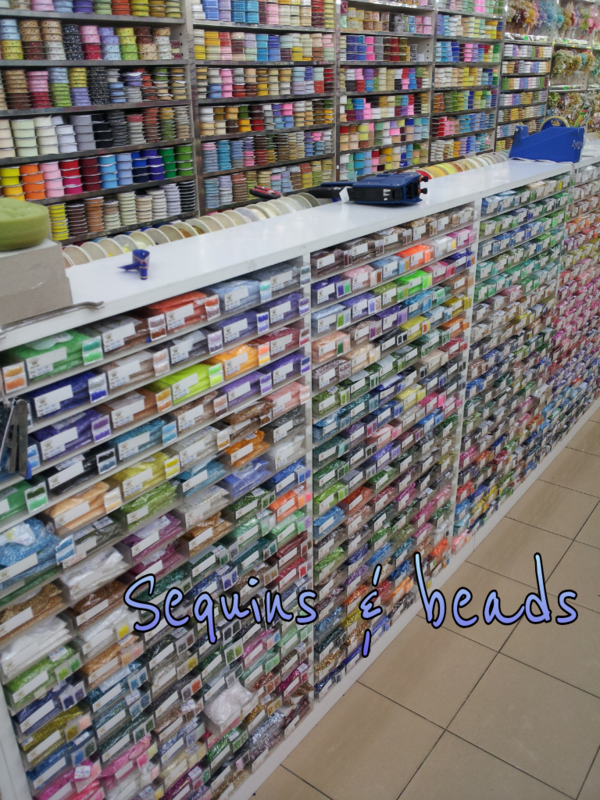 Decoration is a plus for ANYTHING! Lastly , get my measurement and WAITING for the output! 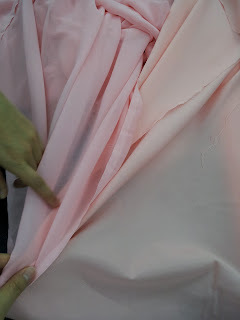 Note: I think i had fall in love with fashion design, how great if you could design your own dress, choose fabric to match and complete your ideal dress! Most important is the dress FIT you perfectly!! It was really fun to do all these!